Former national sailor Thomas Leow wanted the photo shoot for his son's upcoming wedding to be memorable. So two Sundays ago, the 60-year-old managing director took his son Norvin, a 28-year-old civil servant, and his future daughter-in-law to the Southern Islands on his yacht. The party docked at Lazarus Island, an uninhabited island linked to St John's Island by a narrow causeway, for a photo shoot. "Not many Singaporeans know about this place because it is so far out, but Lazarus Island has a very lovely beach," said Mr Leow. "There's really no need to go out of the country to take beautiful photos when you have clear waters so close to Singapore," he added. Touted as one of Singapore's last unspoilt beaches, Lazarus Island has grown in popularity with young Singaporeans eager for a quiet hideaway far from the madding crowd. The Sentosa Development Corporation (SDC), which manages the Southern Islands, estimates that visits to St John's Island and Lazarus Island have grown from 26,000 in 2010 to nearly 40,000 last year. The 47ha island, about the size of 70 football fields, was originally known as Pulau Sakijang Pelepah, or Island of One Barking Deer and Palms. It is unclear when and why it was renamed Lazarus Island. In the late 19th century, Lazarus Island housed several inmate confinement sheds, only to be abandoned after a prisoner escaped. The sheds were destroyed in a fire in 1902. In the 1960s, the island was used as a radar base for civil aviation. However, in the 1970s, SDC took over the management of the Southern Islands, and Lazarus Island was earmarked for recreational development. Although proposals to develop the island as a beach resort were called for in 1988, these plans never materialised. Today, it is listed for sports and recreational use in the Urban Redevelopment Authority Master Plan 2008. It is also listed as "park/open space" in the Parks and Waterbodies Plan. As if to accentuate its isolation from city life, there is no direct way to get there. The easiest way is to hop onto a ferry at Marina South Pier and drop off at St John's Island. From there, one has to walk about 10 minutes and cross a causeway to get to Lazarus Island. The only other way is to rent a yacht. Yacht rentals start from $590 for four hours on weekdays. For sociology undergraduate Glenda Tan, 21, and her boyfriend, a trip to Lazarus Island was their idea of a quiet date. "The beach is unspoilt and the waters here are cleaner," she said. Ms Kalyani Basu, 21, a business development analyst, also finds Lazarus a good place to unwind. "I came here to wind down from a stressful week. It is very quiet here and I find it easy to relax," she said. Polytechnic student Shannon Lai, 19, said several positive online reviews drew her and her friends to the island. "I read about it on the Internet, and it's really what it is: a nice, quiet beach," she said. Theatre undergraduate Debbie Yew recently rented a yacht for her 21st birthday and docked at the island. "Lazarus Island is a good stopover if you want to chill and get off for a while," she said. "The water is pretty clear and it wasn't too crowded even on a Saturday," she added. While most people agreed that the serene, unspoilt nature of the island was a cause for celebration, a few hoped for more facilities on the island, which has shelters but no toilets. Ms Basu said: "There are no shower points on the island. We have to walk over to St John's Island to use one." She added: "It would also be great if we could get food here." Ms Lai said: "It's not absolutely necessary since it's not a long walk, but it would be nice to have a shower point nearby at least." Rubbish bins are also few and far between. 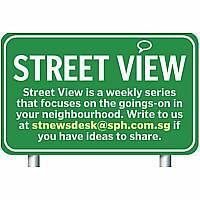 Although there are signs around the island encouraging visitors to dispose of their rubbish in bins, litter was seen everywhere when The Straits Times paid a visit on a Sunday last month. Mr Goh Soon Huat, manager of the Southern Islands at SDC, said a team cleans the beaches daily from Monday to Saturday, but the increase in the number of visitors may have caused the litter problem. "We strongly urge visitors to hold onto their rubbish until they reach the mainland, or dispose of them at the available rubbish bins on the island," he said. Mr Norvin Leow said the island that provided the backdrop to his wedding photos is not looking its best these days. He said: "Lazarus Island wasn't always like this. It has become dirtier and there's a lot of litter. I hope it will get better soon."